Award-winning celebrity chef and restaurateur Michael Mina and Fontainebleau® Miami Beach announce the official opening of Michael Mina 74, an American bistro-lounge located in the lobby of the famed hotel. Michael Mina 74 is the first concept of its kind created exclusively for Fontainebleau by the celebrated chef and delivers a high-energy culinary and social destination that blurs the lines between a restaurant, bar and ultra-lounge. “We’ve achieved the perfect balance of delicious food and a high-energy, sophisticated ambiance with Michael Mina 74 at Fontainebleau,” said Chef Michael Mina. 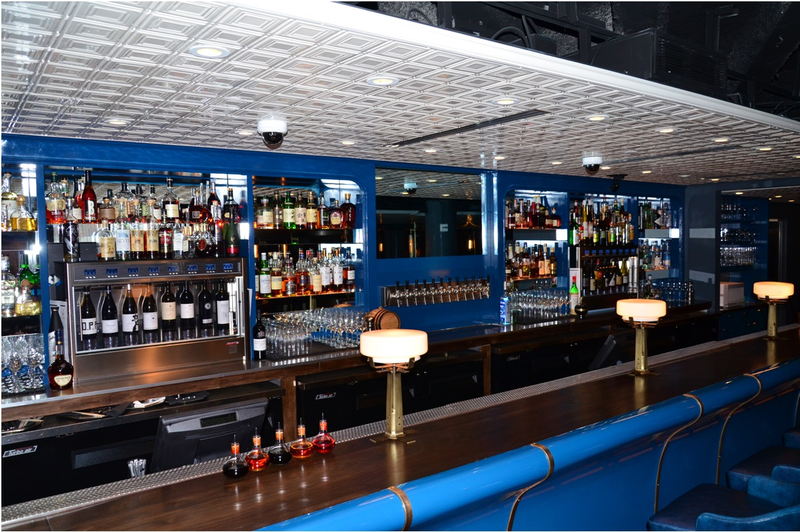 “Our goal was to create a new concept with great food that effortlessly transitions from restaurant to a lounge atmosphere while maintaining a sense of connectivity,” said Mina. “Michael Mina 74 is the fourth pillar in our award-winning collection of signature restaurants and raises the bar on the dynamic range of dining and nightlife available to guests at Fontainebleau,” said Phil Goldfarb, President and COO of Fontainebleau Miami Beach. Chef Mina has crafted a sophisticated bistro-style menu with balanced flavors that complement the high-energy rhythm of Miami. Some of his favorite flavors from around the globe are paired with seasonal and regional products. Items such as Moroccan Short Ribs, Jerk Quail with Foie Gras, Wagyu Beef Shabu Shabu and Truffle Omelet Souffle are just a few of the many menu offerings. Additionally, the dining experience will be punctuated with signature services such as local shellfish from Fontainebleau’s private fishing vessel, BleauFish, as well as Fontainebleau’s very own dry-aged steaks. The beverage program at Michael Mina 74 is unique, with expertly handcrafted, barrel-aged and classic cocktails. Guests can choose from a selection of carbonated bottled cocktails, inspired by classics like the Gimlet, Cosmo, Southside and Last Word. Punches on tap are sure to be a favorite, including the Pimm’s 74; a seasonally changing twist on the classic Pimm’s Cup. Curated by the Mina Group Wine Director, Rajat Parr, the wine list reflects Michael Mina’s renowned and expansive palate and includes classic Old-World styles and interesting blends from emerging New-World regions. Outstanding Champagnes and sparkling wines will be available, showcasing grower-producers, hard-to-find grand marques, rare vintages and rare vineyards from most of the top producers in Champagne. The restaurant offers a variety of sparkling, white and red wines by the glass using a state-of-the-art WineEmotion™ dispenser. With this advanced serving technology, guests are guaranteed all glasses of wine have the perfect pour, perfect temperature and superb quality. Created by the award-winning design firm, AvroKO, the 7,400 square-foot, 215 seat restaurant evokes a rich, stylish tone with design details that carefully blend elements of urban street with warm, relaxed comforts of a beachside, Mediterranean villa. Tables and chairs designed specifically to evolve from a dinner setting to a late-evening scene, along with comfortable booths and plush banquettes, create intimate spaces for couples or small crowds. The atmosphere is set with low lighting, candles on tables and ambient lighting throughout. A DJ will transition the mood and tempo throughout the evening with the atmosphere evolving into the late night hours. 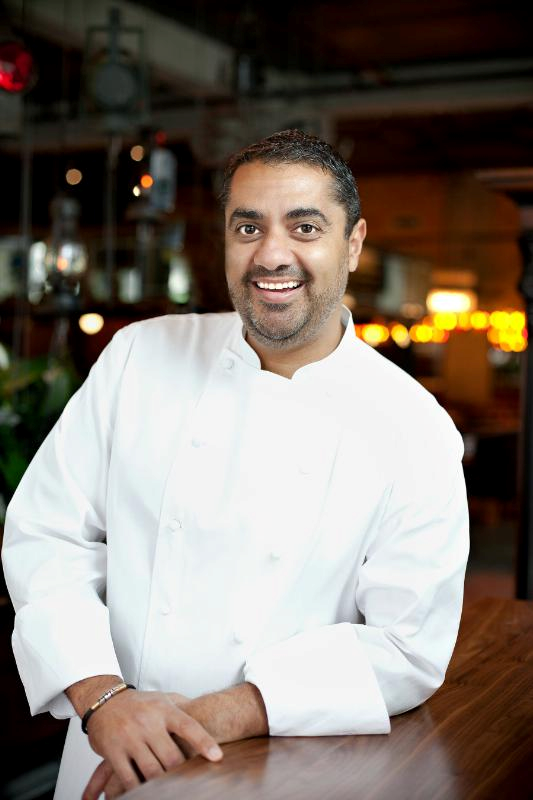 Michael Mina 74 joins a collection of three AAA Four Diamond Award-winning restaurants at Fontainebleau that include Gotham Steak, Hakkasan and Scarpetta.